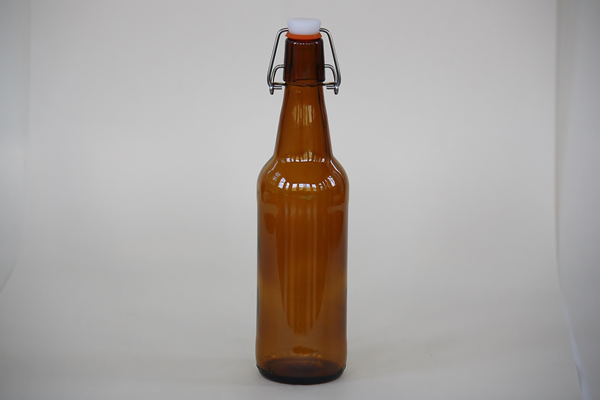 Glass is the best option for storing and brewing kombucha. The glass will not react with the acidity of your homebrew and it won't scratch or release harmful chemicals like BPA. These durable and thick glass bottles will easily store your kombucha and keeps in the pressure so you can enjoy your bubbly brew anytime. Remember to keep it refrigerated. The bottles and swing top are washable, reusable and dishwasher safe. These sanitary and healthy bottles are too great for water, tea, beer, liquor sauce and vinegar. Or single bottles or in cases of 12. 500ml or 16.9 fluid ounce capacity.